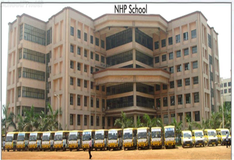 Sprawling over 11 acres at Kalyan in Mumbai is a coeducational day school affiliated with the Maharashtra Board of Secondary and Higher Secondary Education (MSBSHSE). 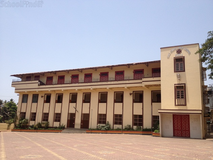 The school boasts faculty strength of 127 and around 2,500 students, from Kindergarten to class X. Each class accommodates around 35 students. The school is managed by the Sacred Heart Education Society.Sacred Heart School, Kalyan, is Asia's first eco-school certified by BM Trada for ISO Q.M.S and E.M.S. Standards. 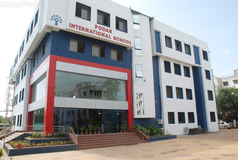 Best schools in Mumbai, Best schools in Kalyan, Best State Board schools in Mumbai, Best State Board schools in Kalyan, Best Coed schools in Mumbai, Best Coed schools in Kalyan, Best English medium schools in Mumbai, Best English medium schools in Kalyan.